Home>News of Metal Industry > Base Metals rise again! Copper has hit a one-week high, powered by signs of tighter supply and as investors betting on rising US inflation and a further depreciation of the yuan bought the metal as a hedge. The Chinese appear to still be buying copper through a belief that the Yuan is going to further depreciate. However, growth is still expected next year, with a rebound in prices. 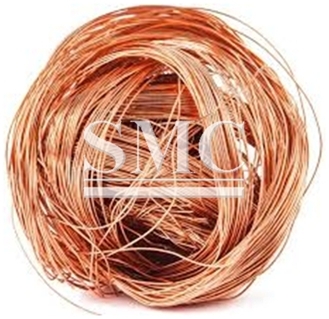 London Metal Exchange copper ended up one per cent at $US5,613 a tonne after hitting a one-week high of $US5,687 earlier. Traders noted fresh buying by momentum-based funds. Shanghai Futures Exchange (ShFE) copper rallied 3.8 per cent while other ShFE metals gained three to six per cent as investors hunted for yield. In a bid to temper the rally, ShFE said it would raise margins and trading limits on futures contracts including copper, aluminium, zinc, lead, nickel and tin. Nickel ended down 0.3 per cent at $US11,370 a tonne. Aluminium ended up 2.2 per cent at $US1,760 a tonne. Indicating tighter supply, LME data showed one entity holds 50 to 80 per cent of tomorrow and next day contracts, and 40 to 50 per cent of warrants or ownership titles.